4 & 5 Outlet versions also available and in stock now. 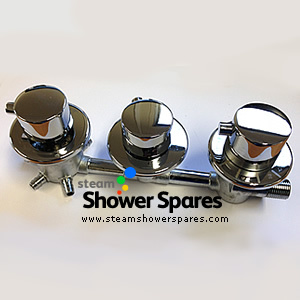 Thermostatic shower valve with 3 chrome dials for control of temperature, water flow and output to various functions of the shower or steam shower cabin. The outputs are push fit type requiring jubilee type clips to fix. 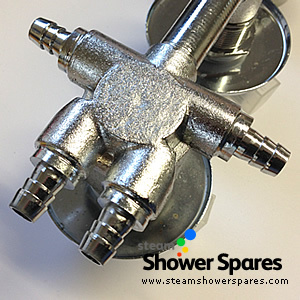 The water input ports are 15mm threaded and require balanced water pressures. 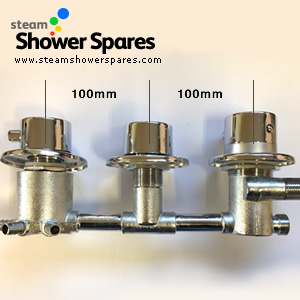 The valve also has a cold water output to connect to a steam generator - this can be capped off for non steam showers if not required. The following video is produced by AquaLusso and expains how to replace a valve assembly.